A creative eye will spot interesting designs all over the place. 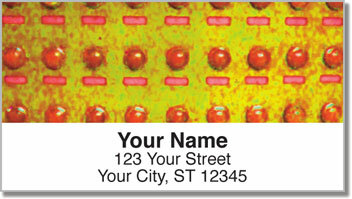 One of our own artists made this colorful return address label selection from photos of an unlikely subject. During a tour of Lake Michigan's largest car ferry, she snapped a shot of a lighted panel board once used to keep track of occupants in the ferry's private rooms. 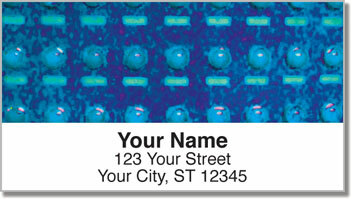 You can turn your ordinary outgoing mail into something extraordinary using these vibrant address labels. But looks aren't everything. 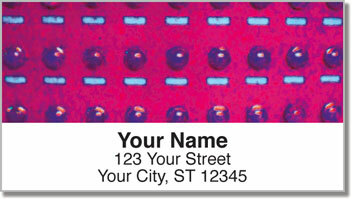 Since this product is printed on a self-adhesive backing, all you have to do is peel and place them on every envelope! 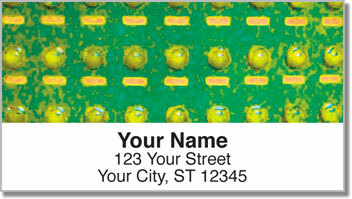 Get your very own Panel Board Address Labels today! Complete your order with matching personal checks.